In this scorching summer, a cool splash in a nearby swimming pool is what adults and kids are rushing for. But shared by many people at a time, swimming pools can be fraught with infections and diseases. Doctors caution against common swimming pool infections that are rampant during this time of the year. Children with their not-fully-developed immune systems are more prone to catch infections at the swimming pools, though elders are equally at risk. "Swimming pools, if not properly cleaned, can be the hub for many kinds of infections. Children usually get infections of ears, nose and throat during these days as they go swimming," Neeraj Kamboj, a Meerut-based senior paediatrician who has been dealing with such cases every day, told IANS on the phone. "I almost every day get to see a few cases of children who go for swimming complaining of pain in their ears. Then there are cases of throat and nose infections too. Children also get conjunctivitis and skin diseases while swimming in the pools shared by other children," Kamboj added. But this can be prevented if a few things are kept in mind. "Parents should go and inspect the swimming pool themselves for the hygiene and safety levels before they allow the children to join one. Also, never allow your child to go swimming if he has running nose or cough, etc," Kamboj advised. "People should also use ear plugs during swimming," he adds. The key to avoid infections is to look for a good swimming pool. "A swimming pool should be properly cleaned and maintained to avoid infections. Those going into the pool must have a shower before entering the pool as well as after coming out," Manoj Mudgal, manager of swimming facilities at the YMCA here, told IANS. There are also cases of some people urinating in the pool during swimming. Can this be avoided? "Perhaps there is no way to check this, but the effects of urine in the pool can be neutralised through judicious use of chemicals like alum and chlorine," Mudgal added. "The level of chlorine in the pool water should be low when people are using it," he explained. Mudgal said that they always carry out a physical check-up of people before allowing them in the pool. "People usually have infections in the toes, between the fingers. So we keep potassium permanganate solution ready for people to wash their feet thoroughly before using the pool," Mudgal said. However, all this should not deter parents from sending their children to a swimming pool. Swimming is not only a good exercise but also a life-saving skill. "Every child should learn to swim. Parents should not be overtly worried and should not instruct too much to the child saying 'Don't do this or you will drown'. Just let them be and they would be fine," Mudgal suggested. 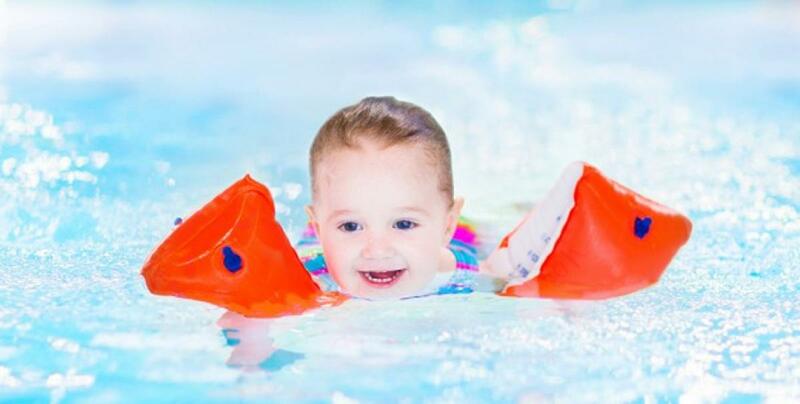 So, let your child enjoy the splash and learn an essential skill - with some precautions though.